In my original article on Toshi Yoshida woodblock print signatures I omitted to include a sample of what you will find on the verso of the prints. As the verso tells you clearly if a print is a Toshi Yoshida lifetime edition (either pencil signed or raised seal edition) or a posthumous one I’ve corrected that oversight below. The pictures show the Yoshida woodblock print Kikuzaka Street. 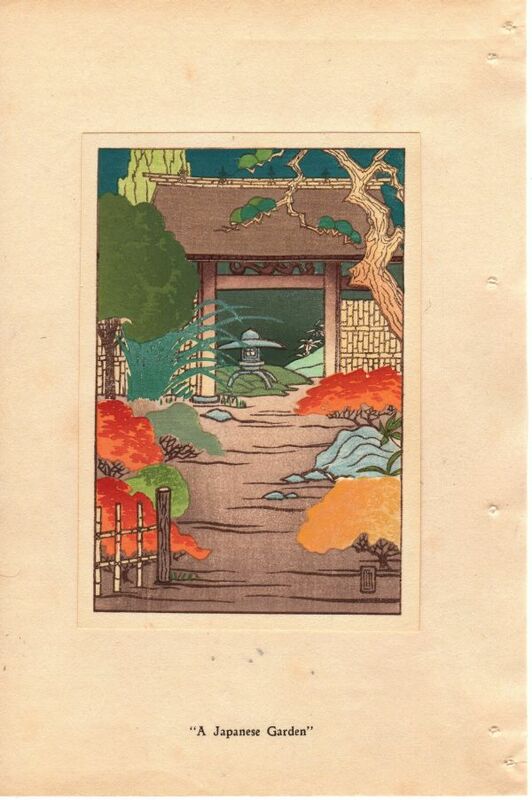 The woodblocks for this print are generally reported as having been carved by Toshi Yoshida himself and were produced in 1939. 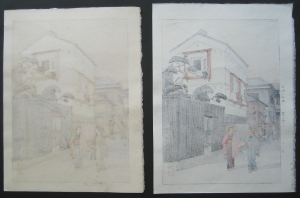 The following picture below shows a lifetime pencil signed edition woodblock print on the left and a posthumous stamped edition on the right hand side. The picture below shows the verso of the same woodblock prints. Again, the pencil signed woodblock print is on the left and the stamped woodbock print is on the right. Looking at the bottom right hand corner of the stamped edition woodblock print you will note a vertically stacked series of Japanese kanji characters. The presence of these characters indicates this is a posthumous print. The characters say ‘later printing by printer’ and then give the printers name. Typically the printers name would be Komatsu Heihachi or Numabe but there may be others. I’m asked on occasion whether someone should buy a pencil signed or posthumous woodblock print. That’s not a question I can really answer for someone else. There are the basic fundamentals of cost and quality, after that its really personal preference. Generally speaking Toshi Yoshida pencil signed prints cost any where from two to three times the cost of a posthumous print. The quality of the posthumous woodlbock prints is very high, as expected given they were produced by the Yoshida family studio. For myself, I primarily buy pencil signed prints but do on occasion buy posthumous prints. 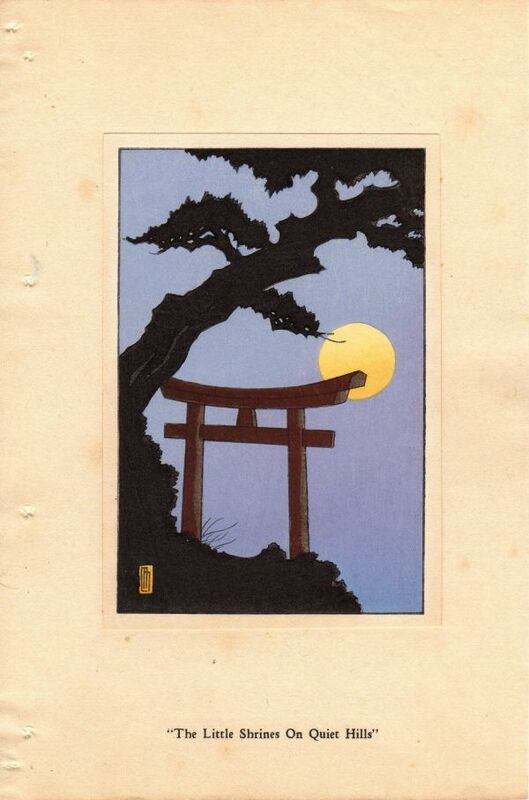 There is at least one Toshi Yoshida woodlock print where only posthumous prints have ever been produced. As a side note, I did read somewhere recently that Toshi Yoshida posthumous prints were no longer being produced – or perhaps no longer able to be produced due to the state of the woodblocks. Related–You might find our 2006 Ukiyoe-Gallery.com’s “Library” article: “Toshi Yoshida Prints — ‘Pencil-Signed’ vs ‘Block-Signed’ Editions” to be noteworthy and worth posting at your website. I’m quite certain that we were “first” (six years ago in 2006) to openly share this information with the public body of Japanese print collectors. Please email a reply to me ([email protected]). Thanks. If you send me photos/scans of the Yoshida print I’ll be happy to take a look. Please try to get clear images of the signature, title etc. You can send the images as attachments on the Contact Us page. I didn’t receive them so I’ll email you my email address and you can send them directly to me. 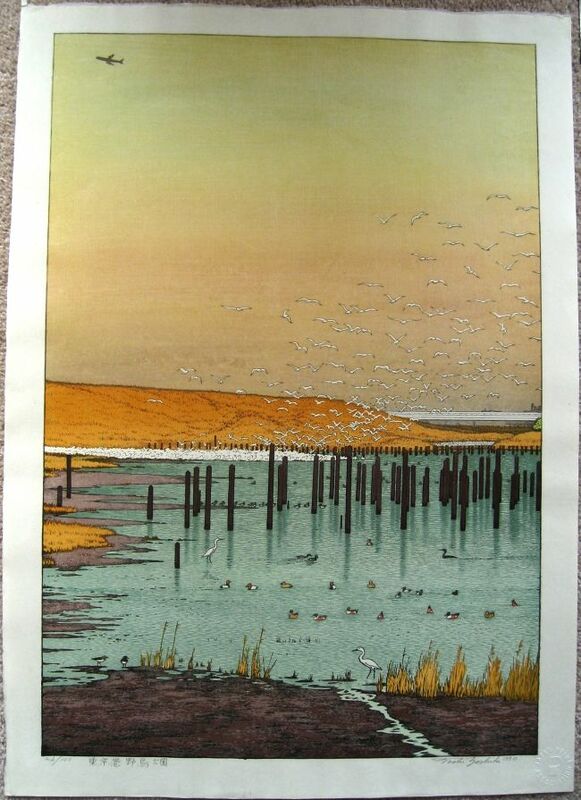 I couldn’t find out anything about this print other than what you’d already know, that its a pencil signed (as far as I can tell from the image provided) oban sized woodblock print from 1958. Your pints titled “Impression” and there’s also an “Impression B” woodblock print produced by Toshi Yoshida from the same year. To the best of my knowledge there’s no information available for most Toshi Yoshida prints regarding how many copies were pulled (limited editions excepted), the number of blocks used and number of impressions. Books like Yoshida Toshi: Nature Art and Peace do give some information for a handful of his woodblock prints but not for Impression. Some later-day print makers such as Osamu Sugiyama do provide technical data about their prints but in the case of Toshi Yoshida it’s mostly a block hole. 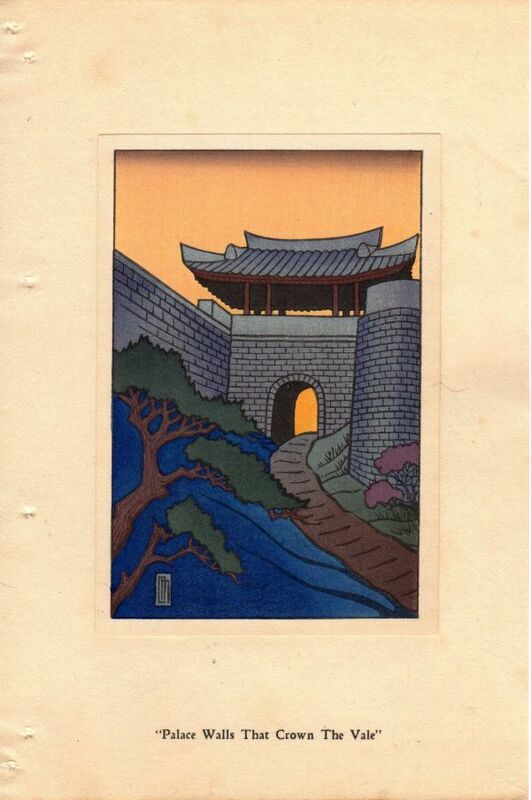 Even if a catalog raisonné is ever produced the amount of information on his work will most likely remain limited as evidenced in Hiroshi Yoshida’s (his father’s) catalog raisonné. You refer to Characters that are on the stamped prints, but not on the pencil signed. I cannot find any characters on the stamped prints that are not on the pencil signed ones. Can you help? Posthumous prints usually have the (extra/additional) characters on the rear of the print in the right hand margin near the bottom of the paper sheet. 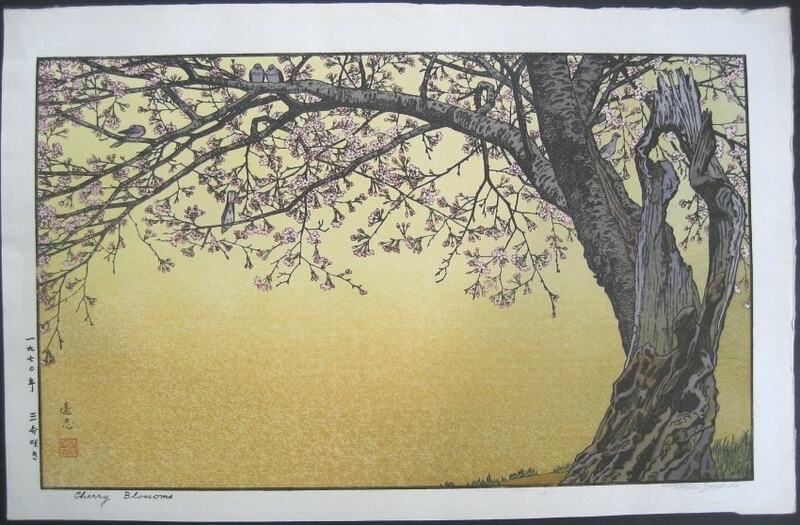 If you look at https://www.japaneseartsgallery.com/wp-content/uploads/2011/01/Toshi-Yoshida-Signature-Verso.png you’ll see on the right hand print that it has characters in the bottom right corner very near the deckle edge of the paper sheet. Lifetime prints do not have those characters on the rear of the print. I have a question concerning Toshi Yoshida’s signature – pencil vs block signed. 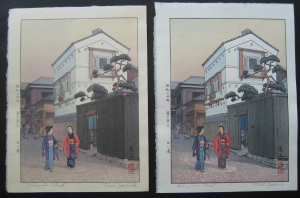 I purchased 3 framed prints in Misawa, Japan in 1993/94. Should I assume that these prints are pencil signed since it was before his death? They could be pencil or block signed. 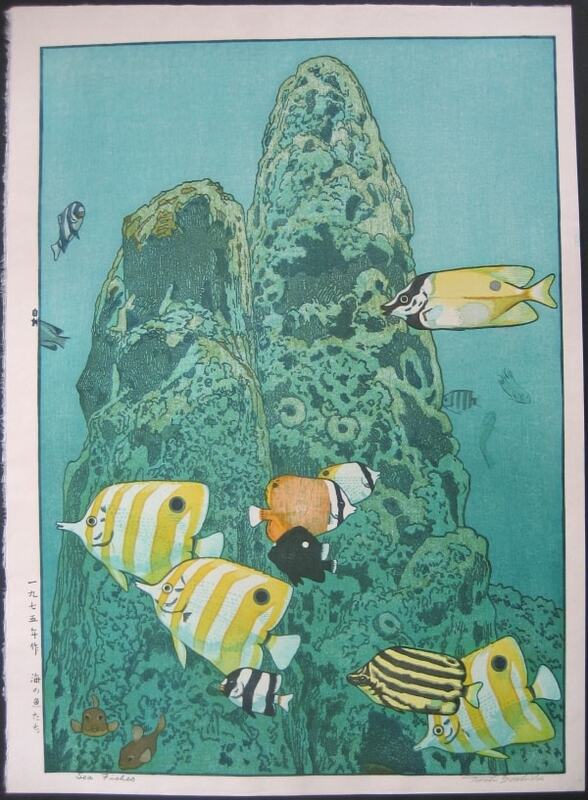 Due to health issues before his death, Toshi Yoshida was block signing prints.